Location: Online Seminar Overview Do your business processes always produce correct and consistent results? If not the problem probably lies with your business rules and decision logic. 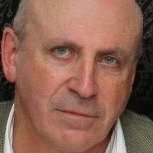 Business Analysts need the right techniques to fix these problems – process models, use cases, data models and other requirement techniques just aren’t right for the job. This hands-on series will equip you with proven techniques for success. More info: http://www.attainingedge.com/online-training-business-rule-analysis-masterclass.php Register for full series! Will Decision Models Supplant Business Rules? The answer is no, but read on. 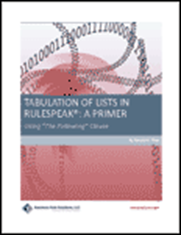 RuleSpeak 3.0 featuring tabulation was just recently released. See http://www.brsolutions.com/b_ipspeakprimers.php (free download). RuleSpeak is structured natural language for expressing business rules in the clearest way possible, yet very precisely. I know some people argue that decision models will supplant the need to express any and all individual business rules. Pardon me, but that’s either highly uninformed or not-so-innocently misleading. Having said that, do I think there’s much to be gained from decision analysis and a revival of decision tables (a very old technique)? Absolutely. We’ve been busy fine-tuning methods for a good number of years. I’m glad we waited. The results speak for themselves. See the new DecisionSpeak and TableSpeak (free downloads) on that same webpage. All 3 ‘Speaks’ are highly complementary … as of course they should be! You need all these tools to be successful with business rules. By the way, all 3 ‘Speaks’ are business-oriented and tool-independent … as they should be(!). written in response to Jacob Feldman: http://www.brsolutions.com/2013/05/07/response-to-decisionspeak-tablespeak-annnouncement/ Jacob, Thanks! And I agree with you about the ‘executable’ part. Our emphasis is on business-friendly, business-driven models. I believe DecisionSpeak and TableSpeak move things forward significantly in that regard. There’s no reason why decision models have to be oriented to IT development. If they are robust, they will nonetheless be executable. I would sound a note of caution. Decision models are no silver bullet. There are issues of semantics (vocabulary) and integrity (restrictions) to be addressed. And they don’t cover even the majority of all business rules – especially behavioral rules. If you throw everything you (should) know about business rules out the window when you use decision models, you will be in for a very rude awaking. I’m glad we did not rush to the market. We’ve taken our time to do our homework with respect to theory (which has been out there for a great many years) and to hone our approach in real-life consulting work. I think the results speak for themselves!